This adorable lace pattern is easier than it looks like. 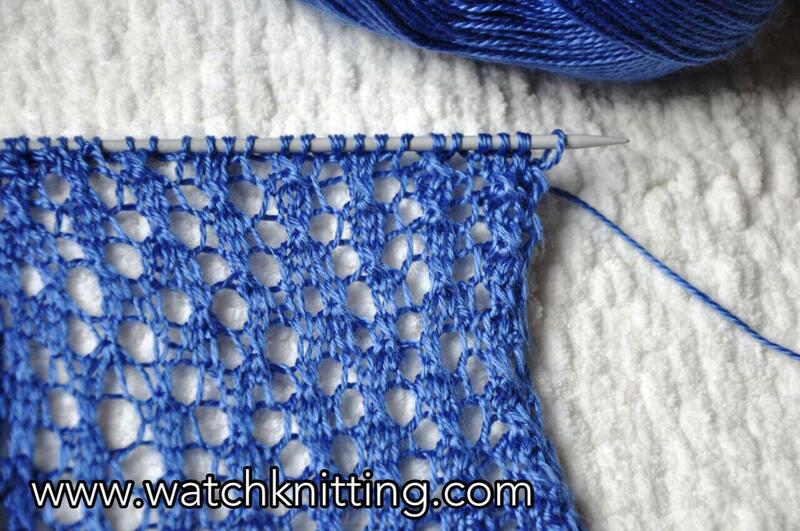 If you are looking for a soft and easy lace pattern definitely this would be a great choice. The pattern is complete within four rows with casting on any (multiple of 6 stitches) + 4 stitches for borders. The finer yarn would be better choice. my suggestion is not to go over size 4 (medium). The project in the photo is made by fine yarn ( number 3), with Bebe LUV baby yarn. The used needle is 4.0 mm or 6 US size. To make a scarf with this patter cast on 52 stitches; Multiple of 8*6 + 4 stitches. Previous: How to make a Mat with handmade Loom! My name is Fariba. Knitting is my passion since I was a little kid.